Olympia Properties is one of the best letting agent in East London. Our office is located on Brick Lane, within a short walking distance from the Aldgate East underground station. Olympia Properties is an independent lettings firm that provides landlords and tenants with property management and financial services in East London. Why Olympia Properties in London? 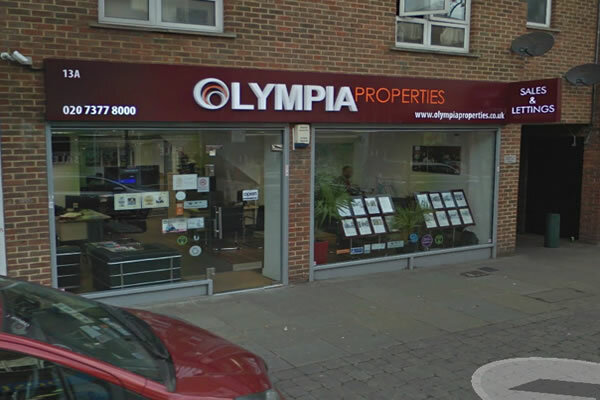 Our letting agents hav Read full description...Olympia Properties is one of the best letting agent in East London. Our office is located on Brick Lane, within a short walking distance from the Aldgate East underground station. Olympia Properties is an independent lettings firm that provides landlords and tenants with property management and financial services in East London. Our letting agents have more than 20 years of experience in the industry. We are professionals who have extensive knowledge of the current property market in London. All of our agents live locally therefore can provide our clients with the latest statistics on the property prices in London and general information about the area if you are thinking of moving here. We grow our business by building strong professional relationships with returning clients and their recommendations to friends, family and business associates. If you have or want to build a property portfolio, do not hesitate to contact Olympia Properties. We specialise in property lettings and full management of properties ranging from modern flats, new developments and refurbished council flats in Spitalfields, Bethnal Green, Whitechapel and surrounding areas of Docklands. Our goal is to deliver a service that could match the fees and services of a large franchise estate agency but also provide personalised first class service as a small independent agent. If you are a prospective tenant or landlord, contact our agents to register your property interests or get a free property valuation. The redevelopment of Docklands are in the eighties have made this area rise in popularity and residents. After the 2012 Olympics, East London became a booming London borough with expensive living spaces. Nowadays you can find properties in East London that range from modern apartments in high rise building to refurbished Victorian terraces or even converted warehouse lofts. It is a trendy, stylish and creative area of London that also boasts quite a lot of beautiful green spaces and leisure facilities. Fees are the best I saw and he will find a way of giving you the best price. Good, i think the service was excellent. Really polite, professional and punctual. I think the fees were cheaper compared to what other colleagues who used other agents got in the same general area . No hidden fees, clear contract, no dupery or fraud.